Get your guests in on it in Baltimore! 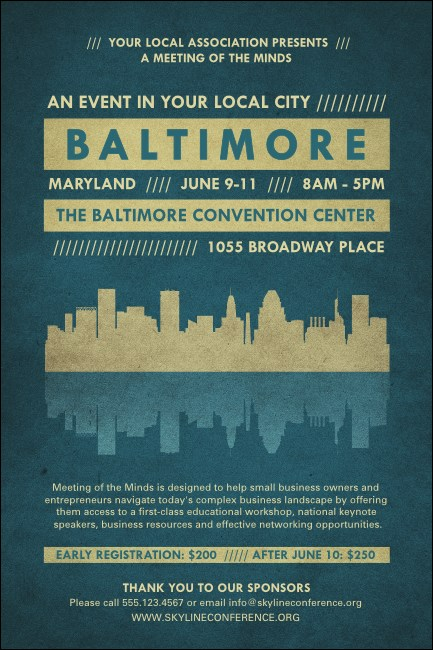 Increase your East Coast event attendance when you print Baltimore Posters and advertise your event in advance. Each Poster features Charm City’s skyline in beige reflecting off the blue waters of the Patapsco River along with fifteen lines of text just waiting to be customized. TicketPrinting.com wants to welcome you to Baltimore, hon!